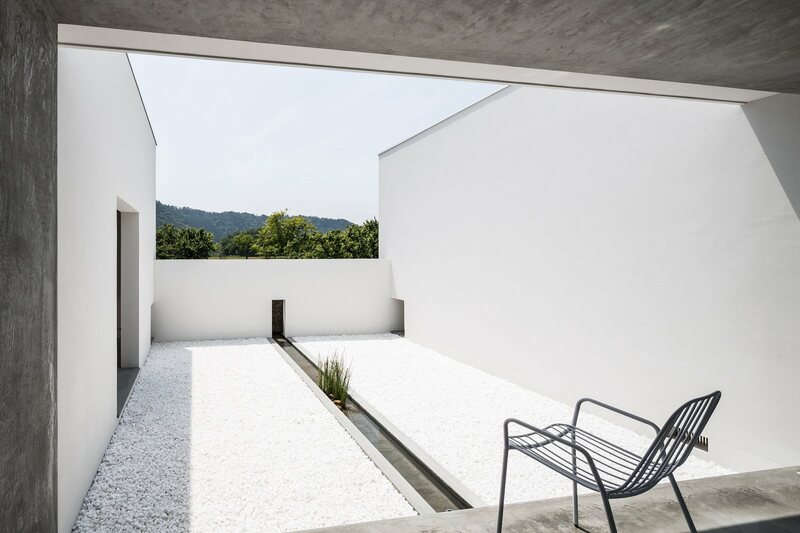 Contemporary courtyard with a water channel-like basin, creates a visual linkage with the view opening beyond. 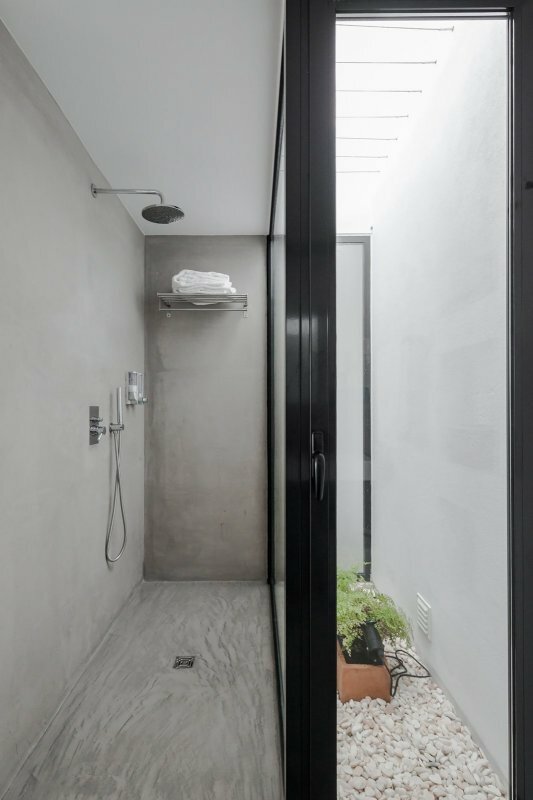 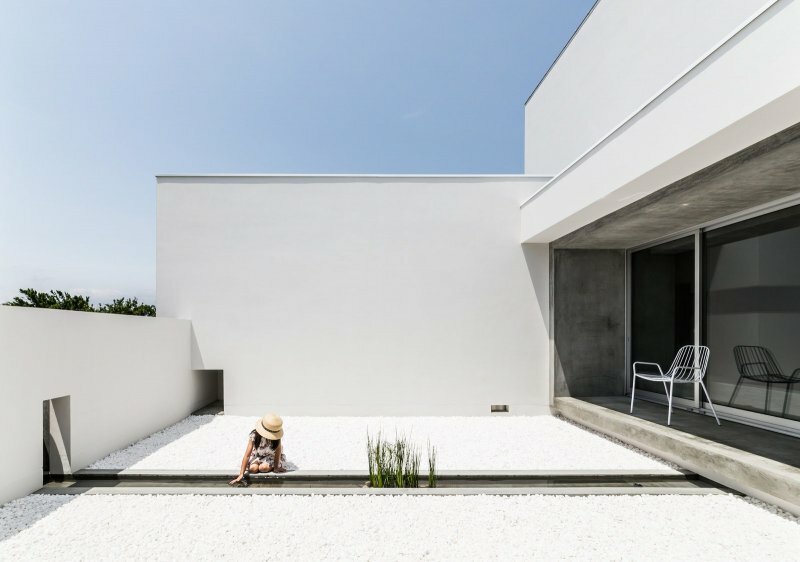 Project Courtyard House in Shiga Prefecture, Japan, designed by FORM / Kouichi Kimura Architects. 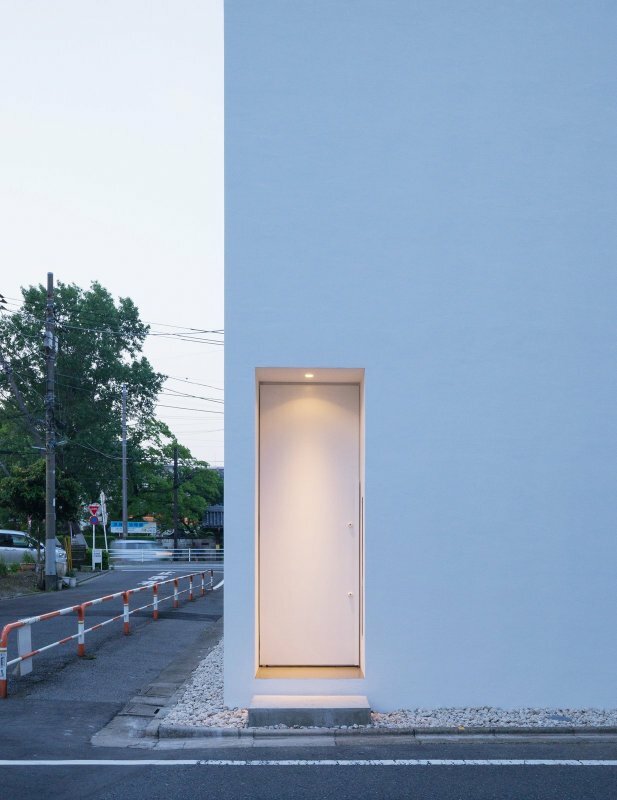 Photographed by Yoshihiro Asada.